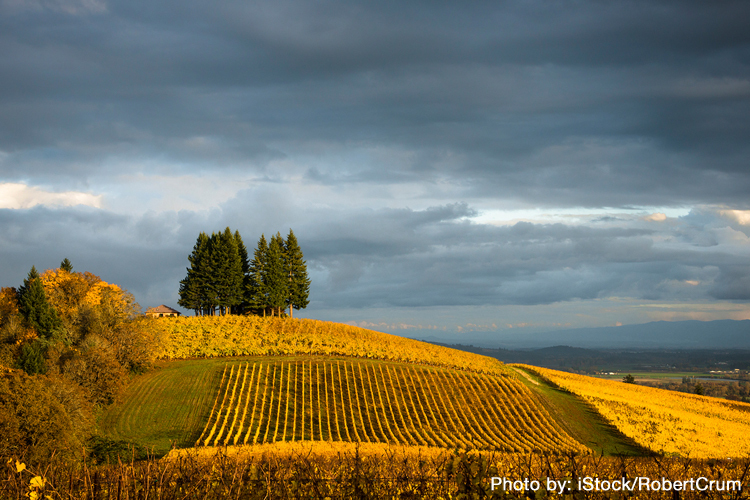 Oregon vintners usually spend their harvesttime looking at rain clouds gathering in the sky, threatening to disrupt their picking. Not this year. Winemakers across the Willamette Valley are feeling relaxed and happy. By the first week of October, many had already finished picking. Most of their wines were already in barrel, having completed fermentations weeks before. Flowering came early this spring too, so the growing season was as long as or longer than usual, for some as much as 110 days. "This year is so mellow I did the whole vintage in a Hawaiian shirt and flip-flops, " joked Rollin Soles of Roco. The winemakers like what they have, too. Sampling tanks and barrels around Willamette Valley, I found ripe flavors and a bit more restraint than previous vintages. It could be the crowning touch in a series of three outstanding vintages. Most winemakers characterize 2014 as ripe and opulent, and 2015 as ripe but less opulent, perhaps more cellar-worthy.